In 2012, Germany led the world in cumulative solar photovoltaic installed capacity, reports the National Renewable Energy Lab (NREL). The United States leads the world in geothermal and biomass installed capacity. 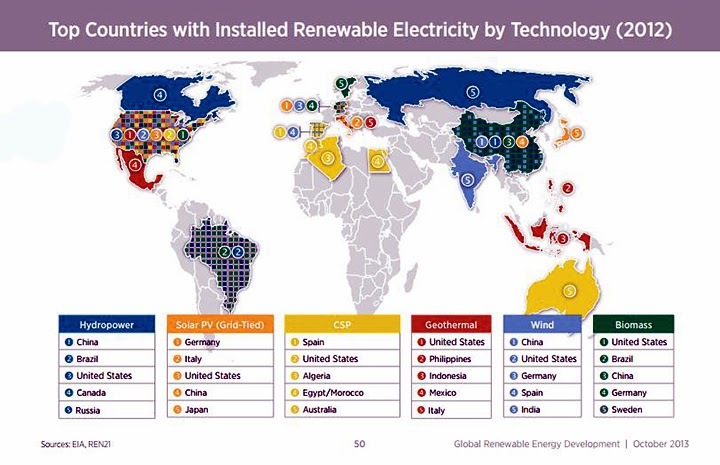 China leads in wind, and Spain leads in solar thermal electric generation (STEG). 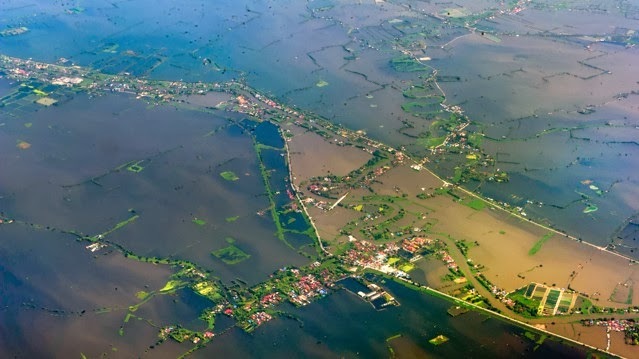 Does One Country Lead The World With Renewable Energy? 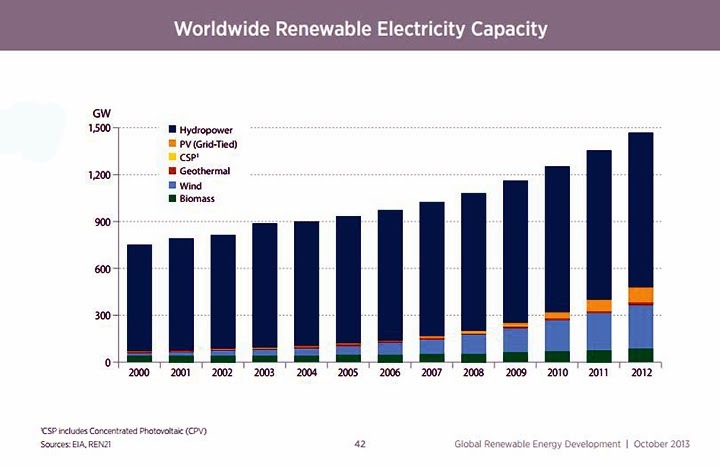 Cumulative global renewable electricity installed capacity has grown by 97% from 2000 to 2012 (from 748 GW to 1,470 GW). Countries with extensive solar policies—such as Germany, Spain, and Italy— lead the world in solar photovoltaic (PV) deployment. 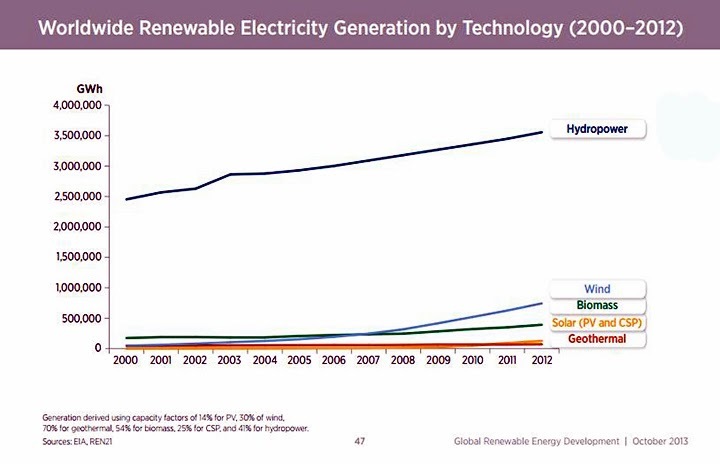 Wind and solar energy are the fastest growing renewable electricity technologies worldwide. Wind generation grew by a factor of nearly 16 and solar generation grew by a factor of 49 between 2000 and 2012. Although global cumulative installed offshore wind capacity surpassed 5 GW in 2012, no commercial offshore wind turbines have been commissioned in the United States thus far. 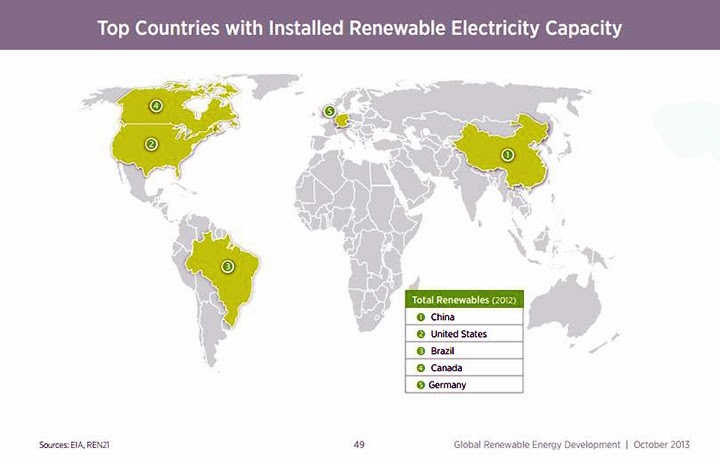 The installed global renewable electricity* capacity doubled between 2000 and 2012, and represents a significant and growing portion of the total energy supply both globally and in the United States.